From early antiquity, the Armenian people developed a rich and distinctive culture on the great highland plateau in eastern Asia Minor. On that crossroad, they interacted on many levels with civilizations of the Orient and Occident. The continuity of Armenian life in this historic homeland was brought to an abrupt end as the result of war and genocide in the early decades of the twentieth century. 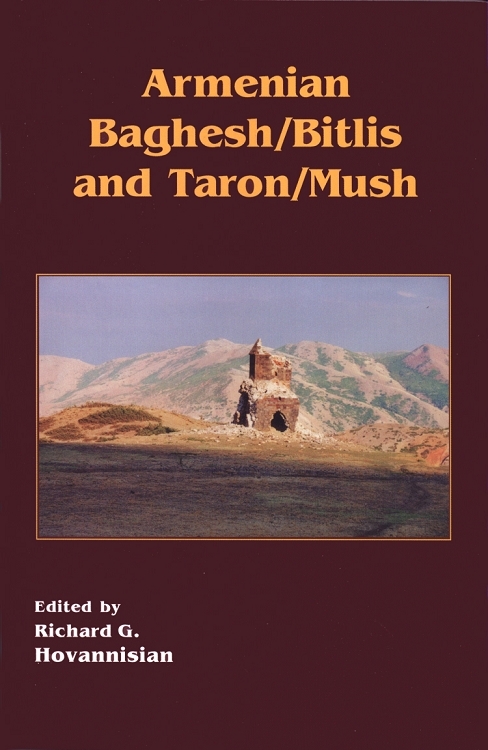 Armenian Baghesh/Bitlis and Taron/Mush is the second of the conference proceedings to be published. This beautiful, rugged land in the southwestern part of historic Greater Armenia is known to have been one of the earliest centers of Armenian settlement. It was here that evolved Armenian Baghesh and Taron, which became a part of the medieval principality of Turuberan and later the administrative districts of Bitlis and Mush. Scholars from several disciplines present the story of Armenian Baghesh/Bitlis and Taron/Turuberan/Mush from ancient to modern times. Other regions to be featured in subsequent volumes in this series are Tsopk/Kharpert; Karin/Erzerum; Sebasia/Sivas; Tigranakert/Diarbekir and Edessa/Urfa; Cilicia; Constantinople; and Ani and Kars.